Is your icemaker dribbling water down the inside of your freezer? Does your dishwasher have trouble draining in between cycles? Does your washing machine shake itself across the laundry room whenever you use it? In most cases, we can provide same-day service to get your appliance problem solved ASAP. We always provide reliable estimates and fair pricing with no hidden fees. If you need warranty repairs for Amana, Jenn-Air, Maytag, Whirlpool or Scotsman appliances, we can provide them as your authorized service center. Keeping our customers happy is very important to us here at American Appliance Repair. All of our technicians are friendly and respectful, in addition to being highly trained and able to provide expert appliance repair. 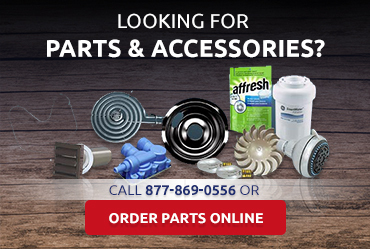 You can count on our technicians to provide accurate diagnoses and effective repairs using the highest quality parts. We’ll even provide our honest opinion as to whether a repair to an older appliance is really worth it, of if it would be more cost-effective to replace the appliance. 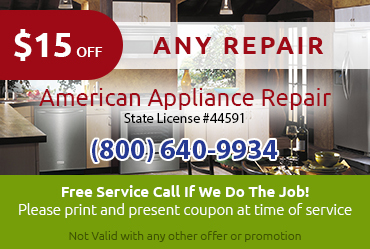 Please don’t hesitate to call us with any questions about appliance repair in Loma Linda CA. Ready to Get Expert Appliance Repair in Loma Linda CA? 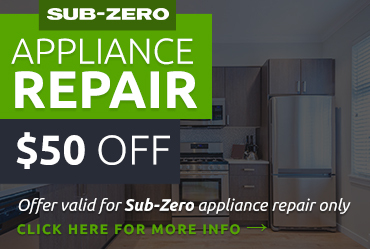 Remember, we want you to be 100 percent happy with your appliance so we’ll even help with the little stuff like burnt out lights and funny noises. 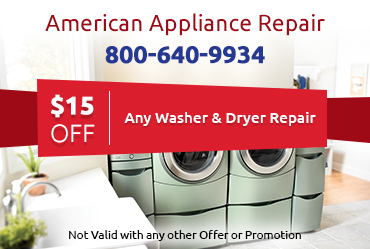 Call or click now to schedule your appliance repair in Loma Linda CA.